Synthetic peptide conjugated to KLH derived from within residues 1 - 100 of Mouse PSD95, phosphorylated at T19. Phosphorylation of PSD95 dynamically regulates the clustering of PSD95/NMDA receptors at synapses, providing a possible mechanism for rapid changes in density and/or number of receptor at synapses. Our Abpromise guarantee covers the use of ab16496 in the following tested applications. WB Use a concentration of 1 µg/ml. Detects a band of approximately 90 kDa (predicted molecular weight: 80 kDa). In WB, we recommend blocking in milk. Blocking with BSA has been seen to give high background with this antibody. ab16496 has not yet been referenced specifically in any publications. Publishing research using ab16496? Please let us know so that we can cite the reference in this datasheet. I have a commercial antibody (https://www.abcam.com/PSD95-phospho-T19-antibody-ab16496.html-ab16496 from Abcam) that is essential to my research, but I've gotten confirmation from my outside collaborators that only some lots of this antibody actually detect changes in phosphorylation. If possible I'd like to test 3-4 different antibody lots and we'd be interested in several vials of a working lot after testing. Thanks for your help! Currently we only have one lot in stock of ab16496, which is GR91281-1. We are not planning on making a new lot until all10 vials of this lotin stockare sold. We have not heard any complaints about this antibody since we've added it to the catalogue. The only trouble I see is your previous notification of the vial being crushed in shipping, but we do not have any quality issues. 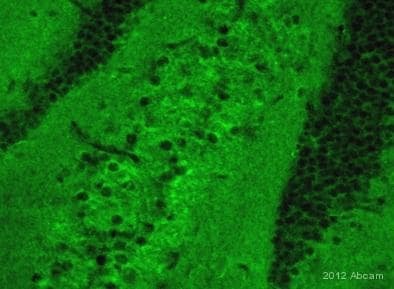 This antibody is covered under the Abpromise for detection of the phospho-protein in mouse in IHC-P and WB. If you have any difficulty with it in the tested species and applications, contact us within 6 months of purchase and we would be happy to replace or refund it. I'm not sure if you need multple vials of the antibody or other products (secondaries, control peptide ab17167) but we're running a 4 for the price of 3 promotion for the rest of September. If you buy any 4 products, the least expensive one is free! Just mention the code 4FOR3-TB3ME on your order online or on the phone. Thanks a lot for your help, however, I see your comparison is done looking at the dlg1 protein, belonging to the MAGUK family, but I'm interested in detecting the dlgA protein, which is the one people reporting as PSD95-like (http://www.jneurosci.org/cgi/pmidlookup?view=long&pmid=18171947). Does your analysis also apply in this case? Thank you again for your support. I can now confirm that we do not unfortunately have any antibodies directed towards the N-terminal region of PSD95 which shares high homology with the drosophila dlg-A protein. This means that the antibody most likely to react with the protein you are interested in is ab90426 as discussed in our previous emails. As the homology is not perfect, I cannot be sure that the antibody will work but it may be worth trying. If you would like to participate in the testing discount scheme previously discussed with this antibody then please do let me know and I will generatethediscount. Thank you for getting back to me and I am sorry for the delay in getting back to you. From the reference provided, it seems that the protein you wish to detect (dlgA) is produced from the gene dlgfrom which dlg1 isexpressed. The isoform E of dlg1 is designated as dlg-A and is the protein I think you want to detect. When taking this isoform and performing the same sequence comparison as I presented to you previously, it can again be seen that it is the C-terminal domain that shares the highest degree of homology with the mouse or human protein. The immunogen used to raise ab90426 again shares 8 of the 15 residues with the drosophila dlg-A protein and may therefore be able to detect the protein. I can offer you the testing discount for this antibody if you would like. There are also certain regions within the N-terminal domain which matches well to the human protein, I am currently looking into if we have any antibodies which may be directed against this region specifically in order to see if I can find one that may be a better suggestion than ab90426. I will get back to you as soon as I can with this information. Phone call requesting information as to the reactivity of the ab16496 against Drosophila samples. I have looked intowhether theantibody you areinterested in, theanti-PSD95 (phospho T19) antibody (ab16496) would be likely to beable todetect the Drosophila protein and why this has been indicated on the datasheet of this product. I am sorry to say that I think this informationwas added in error. I have not been able to find a sequence of theDrosophilaPSD95 protein and comparison of theMAGUK Drosophila protein Discs Large (otherwise known as Dlg, SwissProt reference http://www.uniprot.org/uniprot/P31007),it does notshare very high homology with the mouse orhuman protein (SwissProt reference Q62108 and P78352 respectively). The highest alignment is within the C-terminal domain, please refer the attachment of this email. The alignment around the residue T19, from which the antibody ab16496 is raised is very poor and I would therefore not expect for the antibody to be able to detect the Drosophila protein. We do however have an antibody which is raised against the C-terminal end of the human protein, goat polyclonal ab90426. I have highlighted the immunogen used to raise this antibody in the attachment. As you can see, the alignment is not perfect, 5 of the 13 residues no not match, so I would not be sure of the antibody being able to detect the Dlg Drosophilaprotein. However if you would like to trythis antibodyI would be able to provide you with a testing discount for this product. I am sorry that the information on the datasheet of ab16496 was misleading. I have now updated this information. Please do let me know if you have any further questions and if you would like me to generated the discount code for ab90426. Thank you for contacting me yesterday and this morning. I am sorry for the delay in getting back to you but as explained over the phone I am trying to ascertain the likelihood of the PSD95 antibody being able to detect the drosophila protein. 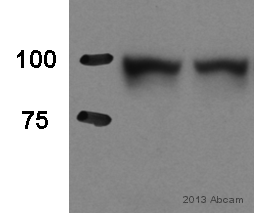 This antibody has been raised against a peptide taken from within the first 100 residues of the mouse protein. I am currently trying to find a protein sequence of the Drosophila protein so that I can compare the region within the two proteins to see how likely it is that the antibody will also be able to detect the Drosophila protein. As we have several antibodies against this target, it may also mean that I can suggest other alternatives which may work better for your experiment. I will continue with this search and will get back to you as soon as I can with what I find. In the meantime, I promised I would send you some information relating to the testing discount scheme. The way this scheme works is that if a particular species or application you wish to use is not listed on the datasheet of a product, you may be eligible for the testing discount scheme. This means you would purchase the antibody as normal, test it in your new species or application then share the results with us through an Abreview. Regardless of whether the results are positive or negative, you would then be eligible for a free primary antibody of your choice (or the value of the testing antibody off any product in our catalogue). The only constraint on this offer is that the antibody must be tested, the Abreview submitted and the free product claimed within a 4 month period. I will get back toyou as soon as Ican once I have more informationon the Drosophila sequence. I am sorry for the delay and any inconvenience thisis causing you.